Host or attend a cooking experience at the comfort of your own home or at one of the Thermomix® Singapore Cooking Studios. 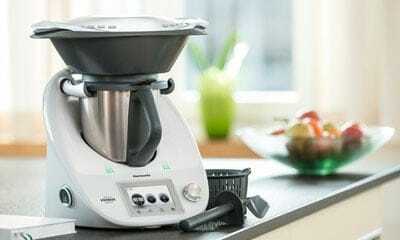 Find out more about Thermomix® cooking. We love our moms! For moms, get 2 (not just 1) of our all-new Mini ThermoServers when a Thermomix® is purchased! With 2 of these ThermoServers, you can split your dish into 2 so everyone can get to taste it on the dining table! Additionally, you’ll get 1 year extended warranty (worth $150), $158 WiFi Cook-Key voucher and the exclusive carry bag* (Retail $120). The total gift value is up to $588*! 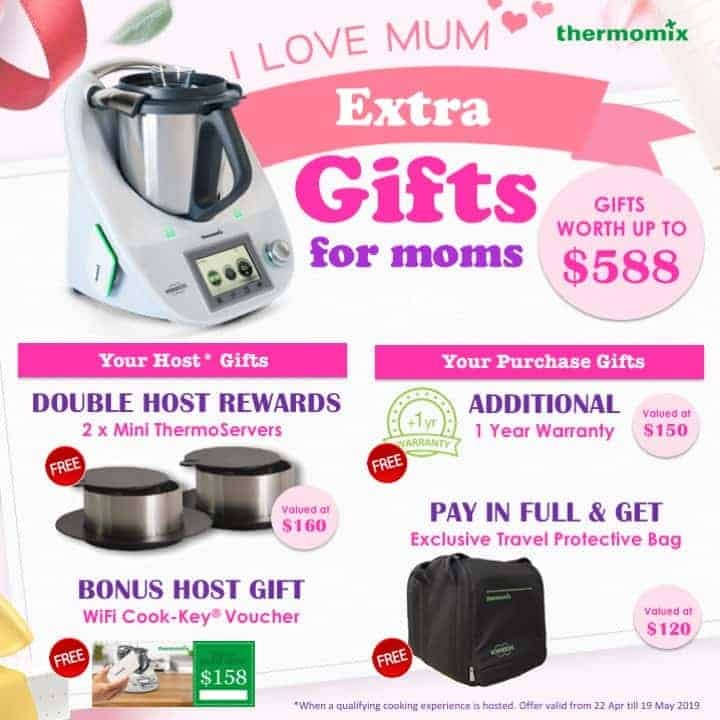 All gifts (except the full payment gift) are redeemable upon completion of a qualifying hosted cooking experience session within 30 days of a new Thermomix® purchase. **Terms and conditions apply. One set of gift(s) per customer per sales contract and while stocks last. Book a Thermomix® Cooking Experience now or contact us at info@thermomix.com.sg to find out more.